It’s all about the dollar on today’s canvas, as we play around forex trade opportunities on GBP/USD and USD/CHF. Think you can make last-minute pips before the week officially ends? Cable is lollygagging just above the 1.3050 mark, which isn’t surprising since the level lines up with an ascending channel support that hasn’t been broken since early December. What makes the setup interesting is that the pair is also confined by a falling trend line that started in late February. So, which side will win in the next trading sessions? Can the bulls extend the uptrend? Or will the bears step in and finally force a downside breakout? Buying above the falling trend line is your best bet if you think that the pound will extend its gains against the Greenback. If you’re one of them pound bears, however, then you might want to wait for a break below the channel before you place any orders. 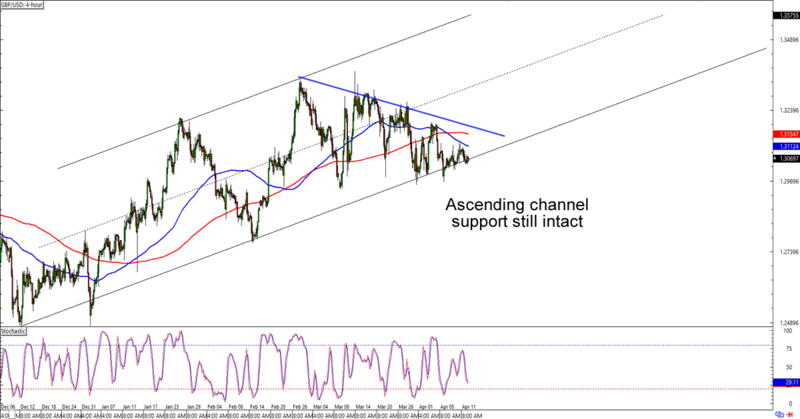 If you’ve been watching USD/CHF’s long-term ascending triangle like I have, then you’ll know that the bears are at it again defending the 1.0050 – 1.0100 resistance level. This time around, the bearish move is accompanied by an overbought stochastic signal. 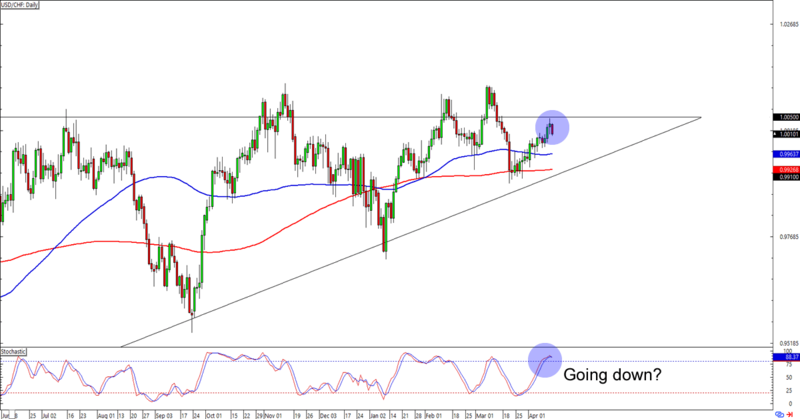 Could these point to another retest of the triangle’s trend line support? Shorting at current levels could get you a pip or two especially if you aim for the trend line just below the 100 and 200 SMAs. If you’re still waiting for an upside breakout, though, then you should wait some more until we actually see a break above the triangle’s resistance. Whichever bias you’re trading today, make sure you’re practicing your best risk management practices when you execute them trading plans!